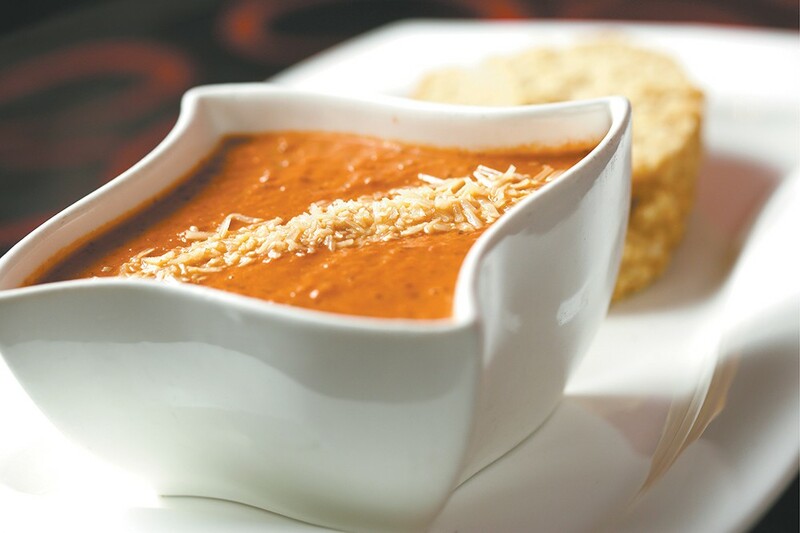 Soulful Soups' tomato basil is chunky and filling. When this feature was planned and I set out to recruit writers to eat and discuss a few widely recommended, house-made tomato soups at restaurants around the Inland Northwest, I was met with some unexpected resistance. "Tomato soup is not my favorite," a few writers said. "It's just so basic," was another sentiment shared. Who knew tomato soup was so... polarizing. I, on the other hand, love a good, hearty tomato soup and believe it's one of the best fall and winter meals, whether at home or dining out. Especially when there's cheese, toasty bread or a combo of both involved. But it wasn't always like that. Growing up, I absolutely loathed Campbell's canned tomato soup concentrate, as well as any canned food with tomato sauce, like SpaghettiOs and Chef Boyardee ravioli. That overly sweet, watered down, ketchup-like sauce is seriously nasty. At some point in my adulthood, however, I discovered that fresh-made tomato soup is actually nothing like these stale, canned counterparts. You can add other stuff, like carrots and red peppers and onions and garlic and basil! This cream-based hearty tomato soup is seasoned with basil and a generous amount of an Italian seasoning blend that gives it a homestyle flavor with just the tiniest hint of peppery spice. It's pureed, but not to the point of being smooth: With parmesan cheese sprinkled on top and mixed in, this one's got a chunkier texture. By the end, you'll be figuring out new ways to use your spoon to dig into the corners of the stylized bowls to get every last bit. I'll admit, I've never had tomato soup before, or at least had the desire to try it. My first thought of tomato soup is watered down soup from a can. This tomato basil soup from Tomato Street made me a convert. You would expect a place called Tomato Street to at least have a good tomato soup and I was not disappointed. Paired with a basket of bread dripping with garlic and butter, which I had no issue polishing off by myself, a bowl of tomato basil soup is worthy of being a main dish on a cold day. While normally we wouldn't feature a chain restaurant here, we've heard that the hype around Nordstrom's tomato basil soup is legit, so we had to see what the fuss was about. On a recent overcast day, several customers in line in front of me ordered this soup, and on a shelf nearby was a display of large jars for purchase to take home. Further proof of this soup's cult following is evident with a quick Google search, pulling up tons of recipes to recreate it at home. Nordstrom itself has even shared the secrets behind the soup's success on its blog, stating "it's our most asked-for recipe and our most ordered dish." The hot bar at My Fresh Basket on the edge of Kendall Yards is a hugely popular lunch spot for good reason — it's fast, affordable, tasty and full of options. Now that fall's set in, it's likely you may be waiting behind a couple other folks ladling one of the store's three daily soups into a to-go cup. 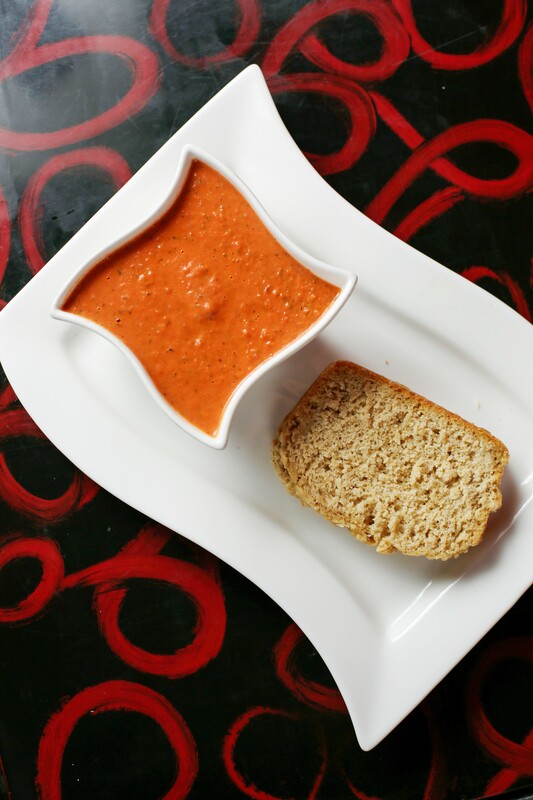 My Fresh Basket's tomato basil soup is available daily, and is a favorite for its hearty, thick texture. We recommend ordering it with a side from the salad or hot bars. Or, grab a bagel from the bakery to toast and spread with cream cheese to dip into your bowl, serving as a great on-the-go substitute for buttery, toasted baguette slices or a grilled cheese sandwich, which are sometimes available here. 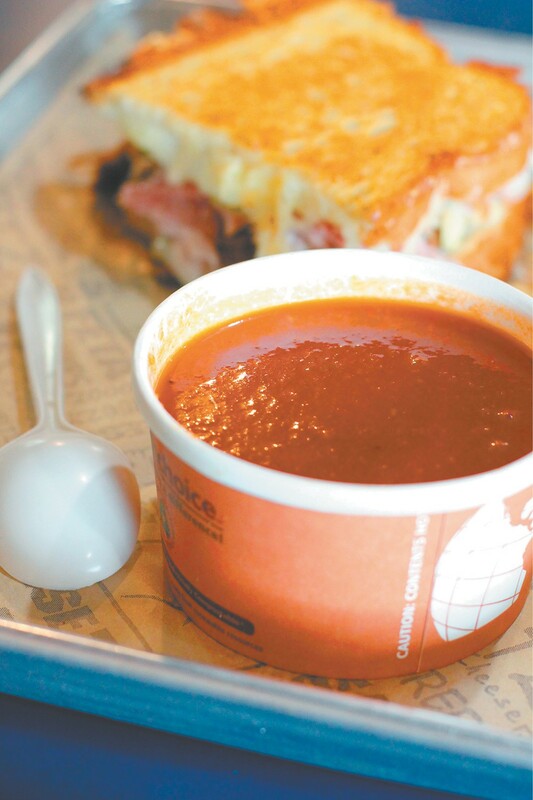 Meltz in Coeur d'Alene serves its "Xtreme" tomato soup as a meal, side or combo. The original print version of this article was headlined "Tomato time"